Human: Fall Flat, Hue, and more high-profile games from Curve Digital now on Utomik! Are you ready for a fresh batch of awesome indie games? 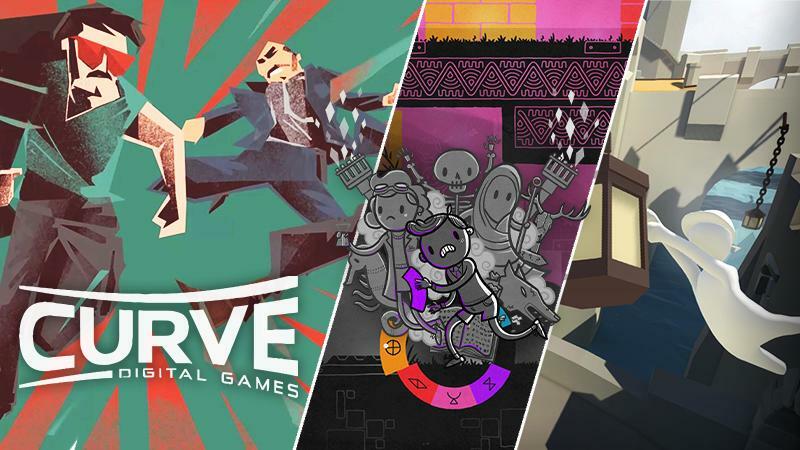 We are proud to have partnered with indie publisher extraordinaire, Curve Digital, to add even more high-quality titles to your subscription. Play the following games right now on Utomik! Hue is a masterfully designed puzzle-platformer that plays with interesting concepts involving a unique color-matching mechanic. The puzzles walk the fine line between being challenging without becoming frustratingly difficult. Help Hue on his journey across a dangerous grey land to find his missing mother. Get creative with Human: Fall Flat! Try to solve a collection of increasingly more complex puzzles in this quirky, physics-based puzzle and exploration game. Get revenge for all the traumas you lived through during gym class and take down everybody in your path in over-the-top sports game Stikbold! A Dodgeball Adventure! Murdering people can get messy, so who does the mob call to get rid of the evidence? Exactly, you! Serial Cleaner sees you sneaking your way through crime scenes, disposing bodies and hiding incriminating things from under the watchful eye of The Man. If you call some games a ‘walking simulator’, Manual Samuel is quite literally a ‘life simulator’. Can you survive 24 hours controlling an entire body manually? You don’t only control Samuel’s every limb, but also things like breathing, blinking and drinking coffee (be careful with those button presses, hot HOT!). So many awesome games added again this week! Let us know on Twitter or Facebook what you want to check first, and if you haven’t signed up for a free trial yet, visit utomik.com for 14-days of free gaming. See you next week!